Remember two years ago when everyone was head-over-heels in love with Turntable.fm? Well, things haven't gone swimmingly since the hype died down. After launching mobile apps and rolling out new features, the team is calling it quits. Instead of continuing with Turntable.fm, they're going to work on a new live concert platform called Turntable Live. In case you never got swept up in the hype, Turntable.fm is an online community where you can start rooms and play songs for everyone. There are multiple DJ spots, and each party gets to queue up songs. The crowd can vote on tracks and chat while listening. 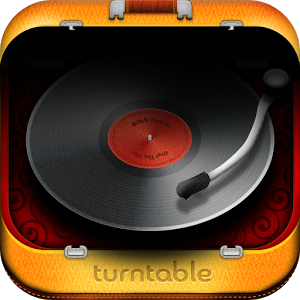 December 2nd is going to be the last day for spinning tracks in Turntable.fm rooms. You can download any playlists you've created as a CSV, or export to Spotify. If you want a t-shirt to remember this particular web service, they'll be selling those next week. Turntable Live will bring artists together with fans for online live shows with video and chat interactivity (that's a video of it up above). It's not clear what, if any, mobile component Turntable Live will have, but the Turntable you knew and loved is going the way of disco, 8-tracks, and Blackberry.